CSSH is thrilled to announce that Simona Cerutti and Isabelle Grangaud‘s essay, “Sources and Contextualizations: Comparing Eighteenth-Century North Africa and Western European Institutions” is the inaugural winner of CSSH’s Jack Goody Award. Cambridge UP has kindly offered to make the article free to access. Simona Cerutti is currently Directrice d’Etudes à l’Ecole des Hautes Etudes en Sciences Sociales in Paris. She was co-director (together with Carlo Ginzburg and Giovanni Levi) of the book series Microstorie (Einaudi, 1985-1990). 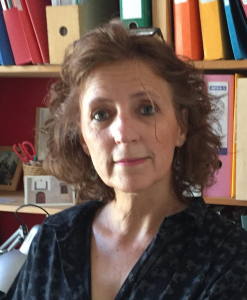 In 1989 she became co-director of the journal Quaderni Storici, and in 2015 she became a member of the Research Community (WOG) Urban Agency at University of Antwerp, coordinated by Bert De Munck. She is a 2018 fellow of the Italian Academy at Columbia University. Her main interests concern social classifications and hierarchies in early modern societies, with particular attention to the culture of law in the language and in the categories of social actors. The social belonging of places and the claims of rights to local resources are at the heart of her most recent works. 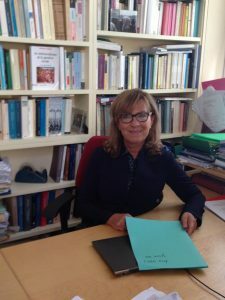 She is responsible for an international research group (Citoyenneté et propriété au nord et au sud de la Méditerranée, XVIe-XIXe siècles: 2016-2020), comprised of students engaged in a comparative project on “citizenship” both in northern and the southern regions of the Mediterranean. She is developing a reflection on the future of social history and the developments of micro-historical methods. She is currently writing a book on petitions and communication with authorities in early modern Italian societies. Isabelle Grangaud is a researcher at the Centre National de Recherche Scientifique. She is associated with the Institut de Recherche et d’étude sur les Mondes Arabes et Musulmans (IREMAM, Aix-en-Provence) and is a member of PROCIT, Propriété et citoyenneté au nord et au sud de la Méditerranée (XVI-XIXe siècles), a research program of the ANR in France. Her work examines the urban societies of the Maghrib in the early modern period, with a special focus on Ottoman Constantine and Algiers. Her main themes of research include the social and institutional practices of individuals and groups, the assertion or exercise of their rights to a locality’s resources and the effects of such initiatives on social stratification. She has coordinated an international, interdisciplinary network of researchers working on the question of local belonging in the Mediterranean world (PALOMED) and is currently working on an online edition of research produced by this network, a dictionary titled “The Words of Belonging.” Grangaud recently completed a book manuscript on the Ottoman bayt al-mâl of Algiers.This work builds on the analytical approach she has developed throughout her research, which lays particular emphasis on the generative and conflictual processes at work in the constitution of historical archives. Finally, she is completing a book about the constitution of the Ottoman archives of Algeria, having discussed various aspects of this topic in several published articles. Her publications include the research monograph La ville imprenable. Une histoire sociale de Constantine au 18e siècle (Paris, Editions de l’EHESS, 2002), and a number of articles, including “Affrontarsi in archivo. Tra storia ottomana e storia coloniale (Algeri 1830)”; “Società post-coloniali: ritorno alle fonti, a cura di Isabelle Grangaud, Quaderni Storici, n°129, a. XLIII, 2008”; “Masking and Unmasking the Historic Quarters of Algiers: The Reassessment of an Archive” in Zeynep Celik and Julia Clancy-Smith (ed. ), Walls of Algiers: Peoples, Images, and Spaces of the Colonial and Postcolonial City, Getty et University of Washington Press, 2009; (with M’hamed Oualdi) “Tout est-il colonial dans le Maghreb? Ce que les travaux des historiens modernistes peuvent apporter,” L’Année du Maghreb, 10 | 2014; and (forthcoming), “Le passé mis en pièce(s). Archives, conflits et droits de cité (Alger, 1830-1870),” Annales, H. S. S., 2017/4.